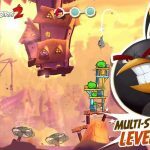 Angry Birds 2 has arrived for Android and iOS devices, and not too long ago we shared with you an Angry Birds 2 strategy guide that mainly dealt with general tips. Today we have yet another strategy guide, but before we get to that, let’s get you up to speed on this new game. 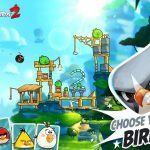 This title comes to you, once again, courtesy of Rovio, the company behind the Angry Birds franchise. And not only does it come with more in-depth levels and a couple new birds, you also get to encounter new mechanics, such as the introduction of spells. 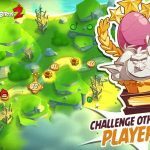 Spells can be unlocked for free on occasion, or unlocked by paying real-world cash, and they can be a great help when dealing with those bad Piggies. It’s best to use spells after you’ve tried to complete a level at least once, as this would allow you to make a better choice and determine which spell should be used in a certain situation. So now that we’ve gotten this “pro tip” out of the way, let’s talk more about the spells you can use in Angry Birds 2. There are only five for now, but future updates may likely introduce a few more into the picture. The Frost spell can be fired so that you can turn all blocks in a stage into ice. Since Blue is capable of splitting into three and breaking ice, this is a great spell to use if you’ve got one or more example of Blue and can’t quite get through those nasty stone blocks. This spell can be launched in any direction, and once you do that, Golden Ducks will fall from the sky in huge bunches. These ducks won’t explode like bombs or eggs do, and they won’t really do much else, but what they do is quite useful – the Golden Ducks are heavy and capable of filling up a whole level. This is an interesting spell to cast, as it turns a random pig in a level into a time bomb. Since we said “random” and not specific pig, Hot Chili should be cast if you’ve got only one pig left and he’s especially hard to take out, or if the pigs are one on top of the other – using Hot Chili in the latter situation could create a ripple effect. The Mighty Eagle can be compared to a missile, as launching it will destroy all objects and pigs it comes in contact with. As far as timing goes, however, Mighty Eagle can be used to destroy series of towers that you wouldn’t usually be able to take out. 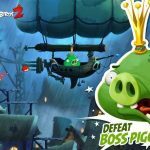 In Angry Birds 2, this is one of the more powerful spells, as it inflates all remaining pigs in a level and pops them, which could rack up a lot of points for you through the destruction it causes. If you want to race through a level and/or score a ton more points, you want to cast the Pig Inflater spell.